Sitting in the dentist’s chair during a routine appointment this morning, it struck me that in almost four decades of dental visits, every dental hygienist I had ever met had almost exactly the same demeanor. Not one single time had a hygienist been anything other than upbeat, personable, attentive, and caring. That’s quite remarkable, I think. Like everyone else, I’ve had waiters who were personable and engaging, and those who were grouchy and withdrawn; sales clerks who were enthusiastic and helpful, and those who were sullen and unaccommodating; etc. What could account for this consistency among hygienists? I think that part of the answer, oddly enough, may help managers increase the performance of their team members. Given this commonality among their temperaments, I have to assume that hiring hygienists is directly based on these characteristics (after considering their technical competence, of course). However, that’s not the thing that is necessarily instructive. Star Employees: Worth The Cost? 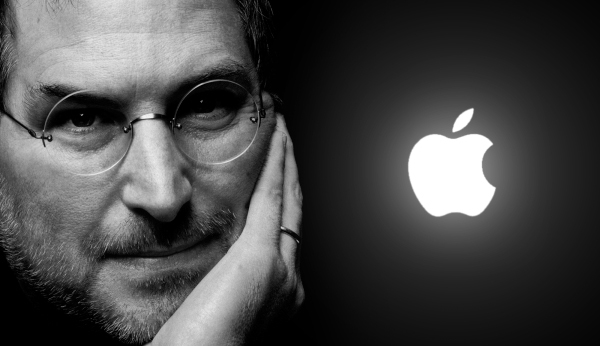 Apple's iconic CEO, Steve Jobs, left a legacy of products that have impacted the very ways in which we live and interact. Can the same always be said of other "star" employees -- or do the costs sometimes outweigh the benefits? The passing of Apple’s legendary leader, Steve Jobs, brought with it a remarkable flood of poignant tributes from every corner. Many noted his amazing impact – as inventor, leader, and visionary – on the way we communicate, work, and entertain ourselves. There is no doubt that his influence and vision will live on in the products and company he created. At the same time, a relatively small proportion of these retrospectives noted the downside of Jobs’ brilliant characteristics – a demanding nature that could often demean employees. It seems that his famous creative and inspiring temperament simultaneously wrought “the bullying, manipulation and fear that followed him around Apple.” This has led me to reflect this week on the costs and benefits of “star” employees in organizations. In Jobs’ case, his inordinate gifts seem to have far outweighed – though didn’t excuse – his negative impact. Of course, as founder/CEO, his role was quite different than the “hired hand” position of even the most valuable employee. I wonder, though, if the benefits of “star” employees in organizations outweigh the true costs in many cases. Here are a few examples from throughout my career. Telling "gentle truths" is a way of fulfilling with integrity the "job requirement" of keeping the boss happy by making him or her "look good"
As I was helping a manager write a job description recently, he leaned over and said, “Wait. There’s one more ‘requirement’ we need to add.” Waiting a beat, he smiled: “Ability to make boss look good.” We both laughed – but we both recognized the truth in what he had said, too. While the blatantly “political” (one might say, “Machiavellian”) nature of this idea is uncomfortable for me, there is no doubt that this represents a cold, hard truth in many if not all organizations. It might not be necessary for getting the job, but “making the boss look good” is often a de facto requirement for keeping (or succeeding in) a job long term. How can one do so with integrity, serving the best interests of their organization, their boss, and – admittedly – their own career? Three “rules” come to mind. NOTE: The following examples concern qualified, good-performing bosses. Incompetent and “mean” bosses are another case entirely – and, as they say, a story for another day. We once had a CEO who, while surprisingly quiet and shy in one-to-one or small group settings, was a very engaging speaker in a large room. Therefore, when we invited him to kick-off a “Welcome to the company” orientation presentation on the day of an acquisition, we were quite surprised when he struggled mightily in telling the company’s story to the crowd.